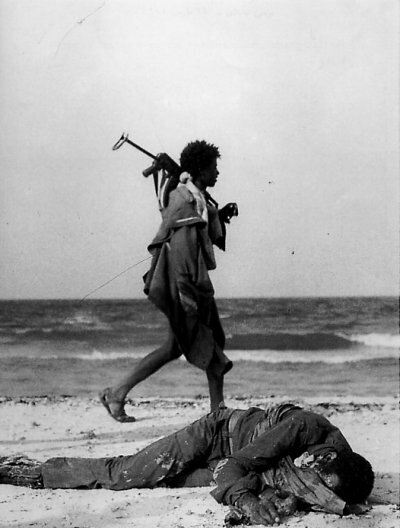 An Eritrean fighter marches on. No body will ever know who this dead Ethiopian soldier was. The Ethiopian regime does not recognize it's POWs and its fallen soldiers.